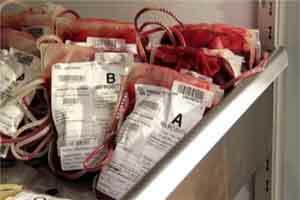 Mumbai: Think Foundation, an NGO that has worked for the rare blood type patients of Bombay for the last 13 years has asked the National Blood Transfusion Council (NBTC) to create a registry of blood donors of this rare blood type. The aim behind the move is to house data in one place, resulting in easy access to this rare blood type patients, predominantly in emergency situations.A valuable co-ordination contribution has been made by this NGO between the Bombay Blood group donors and recipients from various parts of the country. Think Foundation maintains a registry of the rarest blood group donors, provides blood to patients in need of it and also organises blood donation camps across Maharastra. Think Foundation fulfills 5-6 requests every month of patients of this rare blood type. Blood has also been sent to Bangladesh by this NGO on several occasions. A rare ABO group, this NGO was first brought into existence by residents of Bombay themselves. Indians, Caucasians and Japanese are some of the races that possess this rare blood group. 200 people of this rare blood group are registered with the foundation. Approximately 60 are active donors, the rest have their own reasons for not donating. Dr Girish Chowdhary, Assistant Director, State Blood Transfusion Council, welcoming Think Foundation’s endeavor to have a registry of rare blood group donors under one roof said that they were planning to create a registry of the Bombay Blood Group in Maharashtra state. “I have given the proposal to the NBTC which stated that to create one dedicated registry for the Bombay Blood group, data will be gathered under the one roof. The NBTC can ask the blood bank donor’s name to create a data for this registry which definitely will help to provide blood to the needy people,” said Vinay Shetty of Think Foundation. A BMC pathologist supporting the thought reinforced the need for such a registry. He said the BMC run medical college hospital also received 2-3 requests of a similar kind every month. Think Foundation has recently supplied 4 units of this rare blood type to a 25 year old accident victim in Dhaka.